KuSan 100% lambs wool hats and accessories. 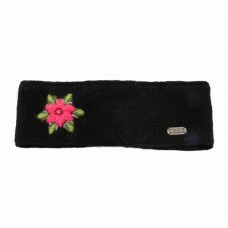 Kusan flower headband. 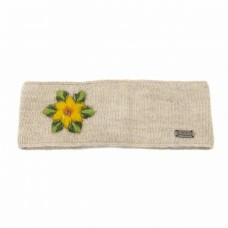 Carfefully handmade in Nepal with 100% NewZealand wool. 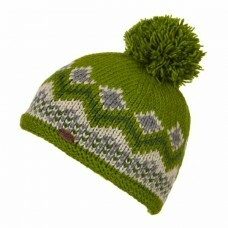 Kusan believes in "T..
Kusan green bobble hat. Carfefully handmade in Nepal with 100% NewZealand wool. 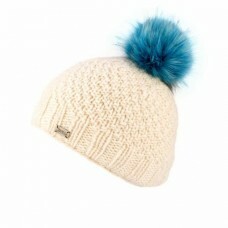 Kusan believes in "T..
White moss yarn bobble hat with blue faux fur pom pom. Carfefully handmade in Nepal with 100% NewZea..
After falling in love with the people, culture and landscapes of Nepal on a trip in 2000. Kurt and Sandra decided to bring back to the UK some of the striking knitted style clothing typical to Nepal and so KuSan began. 18 years later and the mix of warm, ethically sourced New Zealand wool with the great urban styles, hand made in Nepal have been a phenomenal success and the collection of Hats and accessories keeps growing. We believe Kusa hand knitters are the best in the world and we know that behind every KuSan hat or accessory are people receiving fair wages for the hours worked within safe and decent environments – sufficient breaks, free staff food and the encouragement of collective bargaining and freedom of association which all instil a sense of self-worth and pride. In April 2015 Nepal was struck by a devastating earthquake. Killing approx. 8,900 people and leaving millions homeless. The Kusan Factory escaped relatively unscathed. However, three members of staff died and one member lost all his family. 122 lost their homes. As soon as the disaster happened, a small team from KuSan were on their way to the zone. Accompanied by family members of founders Kurt and Sandra – one of whom is an ex-Naval logistics operator and the other London Ambulance Paramedic – the team spent a week on the ground in the earliest phases. From then onwards, the KuSan team have been involved in several strategic charities, including co-founding ‘Brand Aid’ – an initiative backed by leading British fashion brands who have close links to the Nepalese people. Collectively £275,000 has been raised and distributed to relief projects. Long after the journalists have left Nepal, KuSan continues to work with partners to financially support members of staff rebuild their homes. Work is ongoing as it will be a long road to recovery.